Composed circa 1720, this E-minor sonata (HWV 379) is Handel's own compilation of movements taken from three other solo sonatas. Confusingly, this sonata has sometimes been numbered Op. 1, no. 1a, when in fact it never appeared in Opus 1. 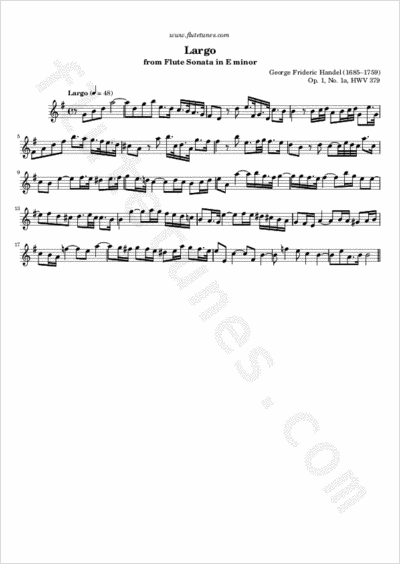 The central Largo borrows its rising arpeggio theme from the first movement of Handel's early Flute Sonata in D, HWV 378, a piece little known in the composer's lifetime.